The thriving chocolate industry of the world is leading to devastating deforestation in West Africa, reported the Guardian. 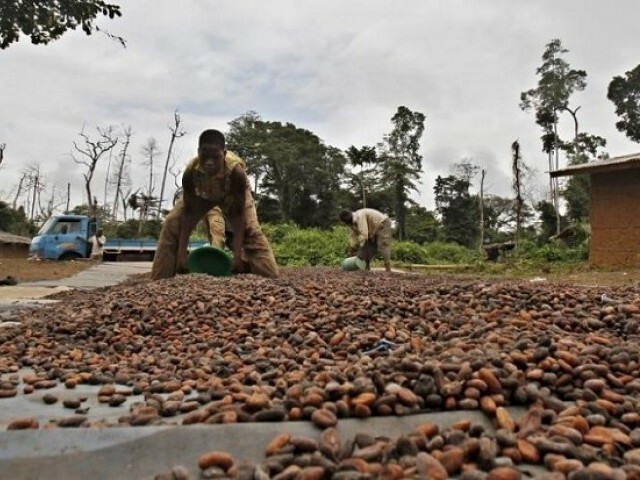 Beans grown illegally inside protected areas in the Ivory Coast are used by many cocoa traders who sell to famous brands such as Mars, Nestle and Mondelez. Forty per cent of the world’s cocoa is produced in the Ivory Coast, where the rainforest cover has reduced by more than 80% since 1960. Illegal product is mixed with ‘clean’ cocoa beans in the supply chain, which means chocolates made by Mars, Ferrero Rocher and Milka could contain ‘dirty’ cocoa. The Guardian travelled across the Ivory Coast to investigate rainforests cleared for cocoa plantation; villages and farmers occupying so-called protected national parks; enforcement officials being bribed to ignore infractions and trading middlemen who supply large firms unconcerned with the origin of beans. Mars, Mondelez and Nestle did not refute the allegation of illegal deforestation cocoa in their supply chains when approached for comment. They said they were making efforts to eliminate the commodity from their products. Around 70% of the cocoa in the world is grown by two million farmers in a belt running from Sierra Leone to Cameroon. The Ivory Coast and Ghana are the world’s first and second biggest producers, and also subject to the most deforestation. The Ivory Coast is being robbed of its forests at a rate faster than any other African country with rainforest cover dwindling to 4% from 25%. According to the environment group Mighty Earth, a burgeoning demand for chocolates could lead to forests being wiped out if deforestation continues unchecked. The irony is that the locals are so poor that they themselves can never afford a Mars bar. It is easy to spot deforestation occurring. Inside the Mount Tia protected forest, Salam Sawadougou, a Burkinabé farmer, was found slashing a yellow cocoa pod off one of his plants in a four-hectare (10 acre) plot. Grey stumps of ancient trees remain as evidence of the forest that once covered the land. “I burned it little by little,” Sawadougou says, explaining that his cocoa required a full sun to grow. It is believed by farmers that the biggest beans sprout in recently deforested soil, so they axe trees one by one, while continuing to plant cocoa during the process. Since the past few years, the annual rate of deforestation inside parks has doubled in both the Ivory Coast and Ghana, which is twice as quick as deforestation in unprotected areas. According to scientists, cocoa is a monster that will finally eat its own self. Farmers are bound to miss the trees they chopped down or burned, as it is their shade which would have sheltered their cocoa plants against highly parched, dry seasons caused by cutting down trees. The big firms, when quizzed about the issue, acknowledged the problem of deforestation for cocoa production and said they were dedicated to finding a solution for it. The company said that in 2010, it had pledged that none of its products should be linked to deforestation, and added that it backed the international goal to achieve zero net-deforestation by 2020. Mondelez’s Cathy Pieters said that deforestation in supply chains was an issue they were actively involved in eliminating. Hershey said it was committed to obtaining 100% certified, sustainably sourced cocoa by 2020. “We take concerns about deforestation and forest degradation very seriously,” said spokesperson Jeff Beckman. Ferrero Rocher did not reply to request for comment. “We have made a pledge to end deforestation – and we are committed to delivering,” said cocoa traders Cargill. The company added that it planned to ensure that more than 70% of its Ivory Coast product would be third-party verified or certified by the end of next year. Another trading company, Barry Callebaut, emphasised its commitment to be 100% deforestation free by 2025. In a collective statement published in June, several firms in the cocoa industry have committed to bring an end to deforestation and forest degradation. However, the real test will be the contents of the framework for action presented at the UN’s Convention on Climate Change in November. Many farmers growing cocoa inside protected areas have also been living there for years. Resettling them and finding them a new means of livelihood is one of the major issues that the government and the industry need to resolve in November. None of the companies said they would back a moratorium on deforestation cocoa, even though one on soy worked well to end deforestation in the Amazon. Neither did they promise to 100% shade-grown cocoa. Government commitment to safeguarding national forests is also important. “Companies alone can’t solve this, and the government alone can’t solve this,” says Richard Scobey of the World Cocoa Foundation. The situation inside the country’s 231 classified forests is even poorer than in the parks. The different authorities that run them are partially to blame. The government-funded agency protecting forests is known as Sodefor; the state parks authority is the OIPR (Office Ivorien des Parcs et Réserves). Neither is doing its job efficiently. In the Marahoué park, the Guardian discovered numerous examples of kickbacks and racketeering by OIPR officials. In the Mount classified forest, the top Sodefor official, Karma Bakary, was asked how long it would take for the forest to grow back to its previous size. “One to two years,” he said. After more questioning, he changed his estimate to 10 years. The state regulator for coffee and cocoa, Conseil Café Cacao, is responsible for overseeing the industry by checking the quality of cocoa, monitoring whether right prices are being paid, and ensuring that none of it is grown in protected areas or by using child labour. Replying to the Guardian, the Conseil Café Cacao said that it was dedicated to “good governance and ethics” in its activities and talked about a programme it started, Cocoa, Friend of the Forest. There is little indication of the programme on the ground. Activists have been privately warned not to touch cocoa, which is a vital part of the country’s economy. Those concerned about it may get into serious trouble. Privately, activists have been warned not to touch cocoa, the backbone of the country’s economy whose vertebrae reach the highest levels of society. Those who do can get in to serious trouble. In 2004 Guy-André Kieffer, a French-Canadian journalist working on a story about cocoa and corruption, disappeared. It is believed he was killed. The Mount Tia forest began to be destroyed in 2004, during the first Ivorian civil war. The Mount Sassandra forest near it remained almost untouched until 2011. Knowing that their trade is illegal, farmers in Mount Sassandra avoid visitors. But these farmers are not the ones earning the huge profits to be made from chocolate. Most of them live in poverty, often exploited and paid poorly for their crop. Majority of them cannot even afford what is a basic luxury in the west: a bar of chocolate. 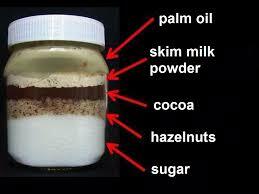 Is it time to say goodbye to your beloved Nutella?